I've had a super, relaxing week on fall break this week from school. What better way to end a great week than with a SALE in my Teachers Pay Teachers Store? 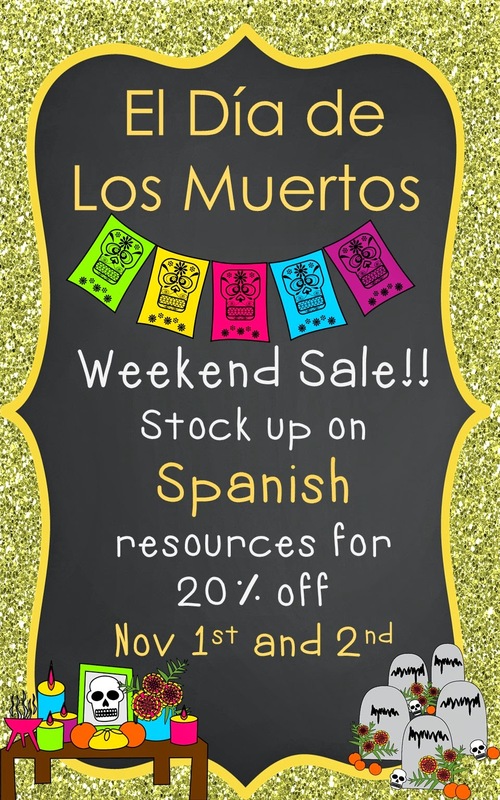 I'm teaming up with my amiga, La Profe Plotts for a Día de los Muertos weekend sale! We are both offering 20% products in our TpT stores this Saturday and Sunday, November 1-2. 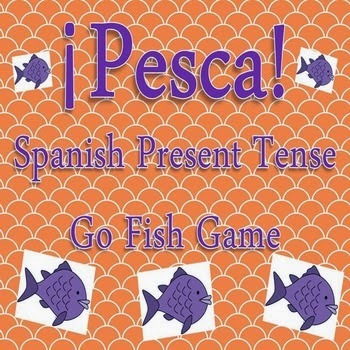 Check out some of La Profe Plotts' Pesca Games. She has them in a variety of topics for both vocabulary and grammar. 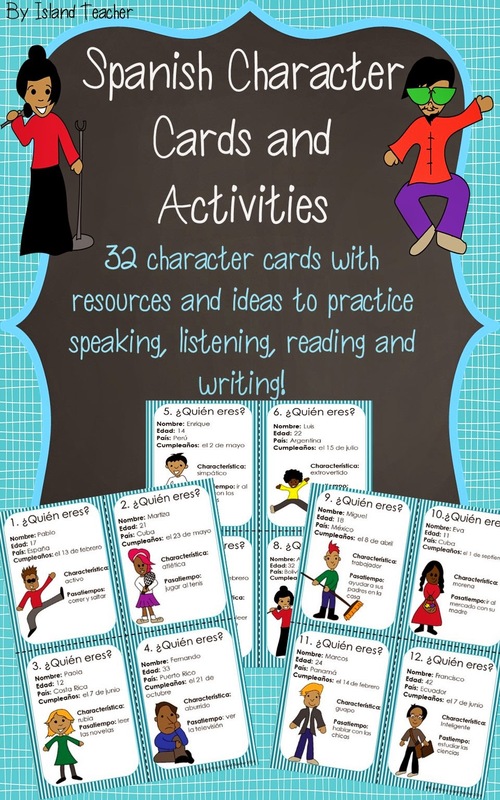 I've recently added some Character Cards to my store which come with many ideas and resources for activities and games. These cards give basic information about 32 different imaginary characters and are great for practicing a variety of language skills. The Día de los Muertos clip art can be found at PoppyDreamz Digital Art. This past week we wrapped up a unit on los adjetivos descriptivos. 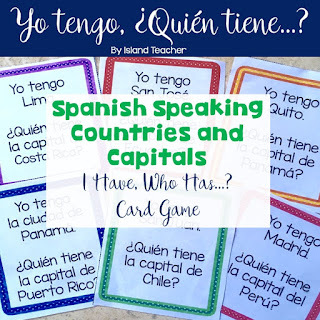 One of the activities that my students enjoyed was creating "Cómo soy yo?" people. 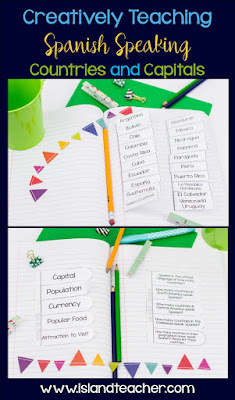 I had gotten an idea from Pinterest and then set out to make some templates and adapt it to Spanish. Students had to choose Spanish adjectives which they felt best described them, add them to the body of a "person" and then attach the body parts. Even though we haven't done body parts vocabulary yet, they were then pre-exposed to words like "la cabeza", "los brazos", etc., so this served a dual purpose. They then added color to their people and they are now added to a classroom bulletin board. These also will also fold up well, so we saved a page in our interactive notebooks for them to be added after they are on the bulletin board for awhile. Here are some pictures of this quick mini-project! The templates for this activity are available in my TpT store Here! In part 2 of Save some sanity...otherwise known as "why did it take me so many years to figure this out? 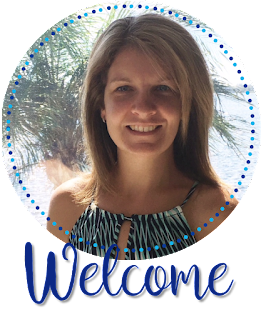 ", I want to share my favorite tip for keeping your week organized. This became a necessity for me when I started teaching at my current school because I teach different grades and classes on different days and had to constantly refer to my schedule to see what was happening next. Then my plastic drawers came into the picture! I'm sure you've seen this idea floating around, but it is truly fabulous! I found these cute labels on TpT back before I knew how to make my own stuff like that (I should totally remake them in Spanish!) and added them to the front of the drawers. I've seen many pictures where people have the last drawer labeled "next week", which works great too, but then my next week would be all jumbled up. I use the last drawer to hold my interactive notebooking supplies. Since I have small classes, my glue sticks and scissors fit nicely there. After a day of the week passes, I'll begin adding to the drawer for the next week as I plan and gather materials. Anything needed for that particular day goes into the drawer. This could be handouts, task cards, other games, graded papers to return, etc. Then, when a class comes in, I just access the drawer and all is well! Some sanity has been saved! Happy Saturday! In order to get this under control, the first thing I did was begin to purge files. I mean, let's be honest. If I hadn't used a resource since 2004, chances are I'm not going to miss it if I just chunk it. So I threw away a LOT of stuff. 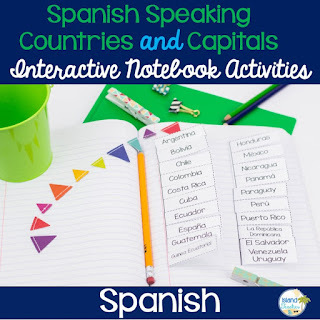 I find myself constantly looking online or making my own resources (especially since I'm taking an interactive notebook approach this year), so for me, there's no need to save everything I've ever thought about using. I was a bit of hoarder and why I allowed everything to come with me on a move to another country is beyond me. I began the process last school year of moving everything to 3-ring binders. Each binder has a broad category on the outside and tabs on the inside to separate categories. It's a work in progress and I work on it as I have time by pulling a paper file out of the file cabinet, throwing away what I no longer use/need and adding the papers to the correct category or creating a new category. I have found that I am now more easily able to find a resource by pulling the correct binder and looking at the tabs. One check off my post-it note list in my quest for more organization. ;) What about you...how do you organize your files? It's coming soon! One holiday that I look forward to teaching about every year is Día de los Muertos. I like helping my students knock out the stereotype that it's just another version of Halloween. Today I was happy to have to opportunity to jump over and guest blog at Language Teachers' Cafe. Here I share some ideas that I've come across online for incorporating Day of the Dead into your lessons at the end of the month. 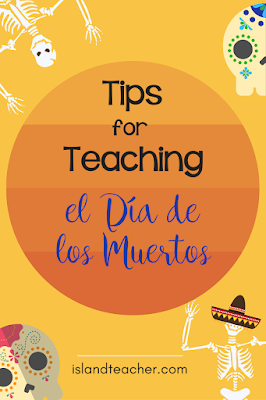 Head over to Language Teachers' Cafe to see my 5 ways to Celebrate el Día de los Muertos in your classroom. Another part of my of Weekend of Awesome was finding out that I was going to have a download of one of my free resources featured in the weekly Teachers Pay Teachers newsletter. Now this may not seem like anything that awesome, but amigos, this was a BIG deal for me! I had been submitting a product every week that I remembered for about 5 months or so. 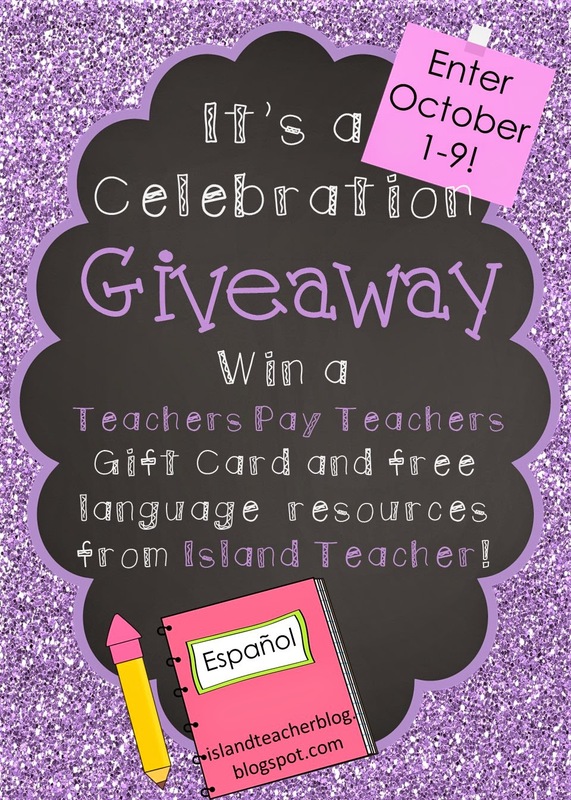 Each week the TpT staff chooses 10 freebies to go into the weekly newsletter which goes out on Sunday. I, honestly, have no idea how many submissions they receive each week, but I was super honored to be chosen. I'm also very thankful that my amiga, La Profe Plotts, gave me the heads up that I was going to have a featured product. This allowed me to spend most of Saturday working on sprucing up my store for the day. Here's the shot I had to take when the newsletter email rolled into my phone inbox! If you want to pick up my free La Familia Questions worksheet, you can find it in my store, HERE. Now, because of my super, awesome, fabulous weekend, I have decided to host my first giveaway! The winner will win both a $10 TpT gift certificate AND $10 worth of their choice of products from my store. :) The giveaway will run until October 9th. Enter below for a chance to win!